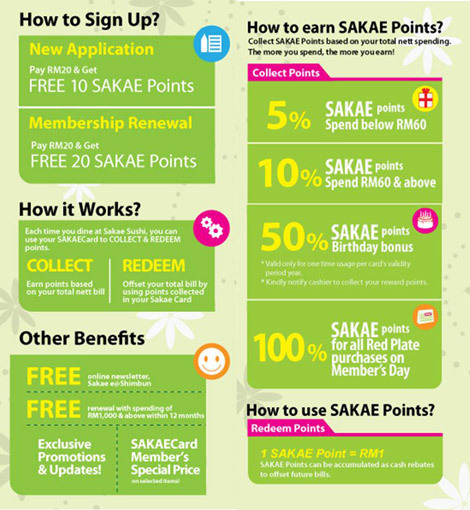 Sakae Sushi recently opened their 19th outlet in Malaysia at the spanking new Paradigm Mall, Kelana Jaya. It was also the location of the Review for the 2012 Menu that is being promoted by Sakae Sushi. Sakae Sushi (pronounced as Saka-eh and not Sake) is situated at the Concourse of Paradigm Mall. The event for Blogger started at 2pm and was hosted by Ms. Yew June and her team. Sakae Sushi recently unveiled its new and improved menu featuring 30 tempting new creations for their Japanese food lovers. Based on meticulous research and feedback from customers, the new menu features delicious new additions. The group of blogger were feted to nine new dishes. This review will concentrate on the nine items. First up was the Kaisen Salad which is a tantalising fresh serving of Tuna flakes, prawns, snow crab leg (fillet) and salad in creamy goma (or sesame seed with mayo) dressing. The serving was sufficient for two person. Could use a bit more Tuna. Otherwise, a healthy alternative. Next was an array of the individual offerings such as the Inari Avocado Ebi. It is succulent whole prawn mixed with delicious vegetables and salad dressing, wrapped in sweet bean curd skin. As i am a lover of avocado, i find the serving portion of avos a bit disappointing. wished it had more. Next was the Soft Shell Crab Maki that will excite everyone that loves soft shell crab. The crispy crab in sweet bean curd, rice and spicy mayo would make you want a second serving. Ebi (prawn) lover should try Ebi Crepe that has whole cooked prawn wrapped in light crepe layer (made of eggs). I must say that the savoury taste with the crepe was a winner. Touted as an intricately-designed roll of tempting grilled salmon, shrimp roe and mayo, the Sakae Blossom is a must try. I am a big lover of salmon and this roll satisfy part of my cravings. Fans of Scallop will love Hotate Mentaiyaki. Half shelled scallop grilled in cod fish roe offers a tantalising experience. The large scallop was sweet and succulent and not overcooked. It would be interesting to see consistency of serving on the next visit. The scallop i had was slightly larger than our 20sen (old coin), which was decently sized judging from the price of the dish. I believe the same scallop was used for the next dish, the Kaisen Pirikara Nabe. This dish is a serving (for two) that has prawns, cuttlefish, salmon, mushrooms, scallops and vegetable in flavourful Kimchee broth. It is served in a hot pot and perfect for both lunch and dinner. Perhaps, this dish could serve three too, judging by how it filled my bowl. I however, did not manage to verify the amount of each items inside. Back to the size of the scallop, here it is, compared to a 20sen. It could be larger than our 50sen coin looking at the photo again. The last dish that was introduced to us was the Curry Udon. Essentially it is Japanese curry with wheat noodle and chicken slices. If you love your curry spicy, this will not satisfy your taste bud. Japanese curry are less pungent and perhaps slightly sweeter with a powdery texture. But the noodle was good. We were each given a serving and was told that a full dish could is a meal by itself. The noodle texture reminds me of those homemade noodles my granma makes. Hokkien people could relate to it as those noodle made from eggs cooked in Hokkien style Egg Lorh Mee. As a bonus, we were feted to a platter of Sakae Sushi own-made ice cream. I can only tell you they are superb. They were finished before any decent photo could be taken. From front to back - Passion Fruit, Dragon Fruit, Matcha and Goma ice-cream. Mascot at the back can't be eaten. The ice cream comes in four flavor namely the passion fruit, dragon fruit, matcha (green tea) and goma (black sesame). They price were alright though they were more of sorbet type (for Passion fruit and dragon fruit variants) of ice cream. Some of us that has patronise Sakae Sushi would know how they leverage on technology in their outlet. The restaurant patented interactive menu that is fast and allow the customers to order directly also allows the diner to keep tab of their bill easily. In fact, they have upgraded to the Apple iPad which allows for a trendier (and up-to-date) dining experience. The interactive console acts as an advertising board for the Sakae Sushi offering as well as being a full on menu. See only, don't try to bring back the iPad ok? Along with these few technology advancement, Sakae Sushi has been very sensitive to the need of their loyal customers. The loyalty card, where diners could opt to become member, dine, collect points and redeem them for food. The points are as good as cash! For as little as RM20 for the membership card, one could enjoy a host of benefits. More reasons to go, perhaps. One would agree that the most important criteria that separate a bad Japanese food with a good Japanese food is the freshness of the ingredient; and what separate the good with the superb Japanese food would be the affordability. Sakae Sushi borders at both GOOD and SUPERB with their choice ingredient and affordable priced Japanese food. I had a great time trying out the new menu and being a person watching what i eat, i could agree to the alternative carbs being served though i must ensure i burn them off later. With less processed food (such as the raw salmon and baked items), Sakae Sushi certainly offers a balanced, healthy and affordable Japanese food. Thank you Sakae Sushi for hosting and the opportunity!